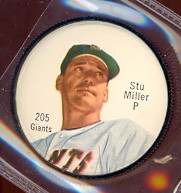 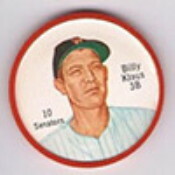 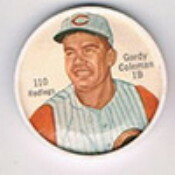 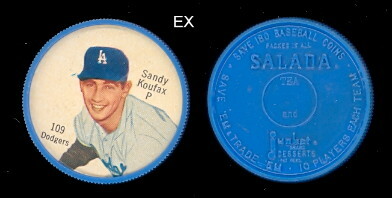 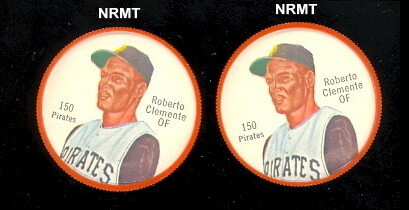 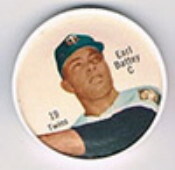 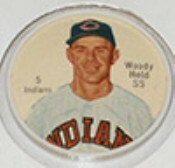 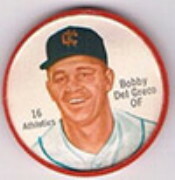 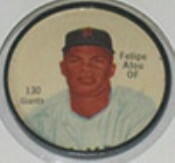 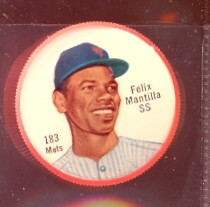 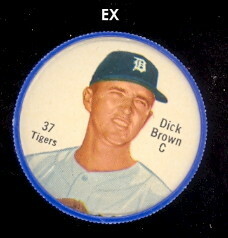 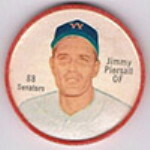 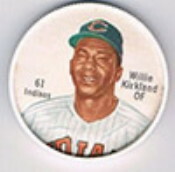 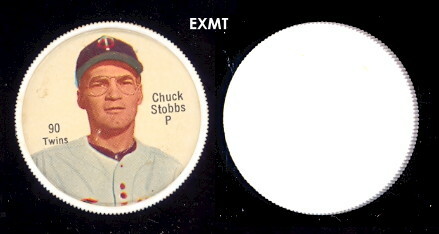 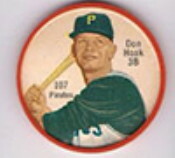 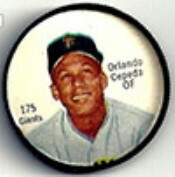 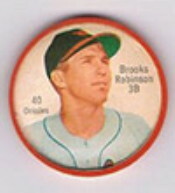 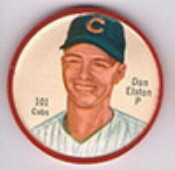 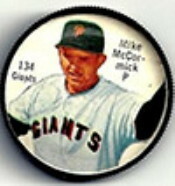 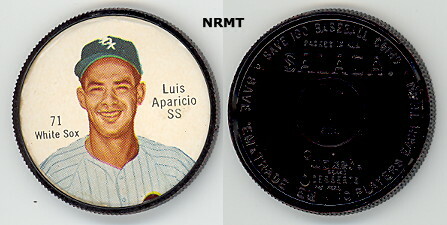 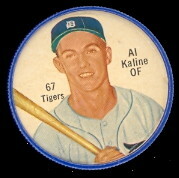 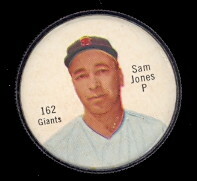 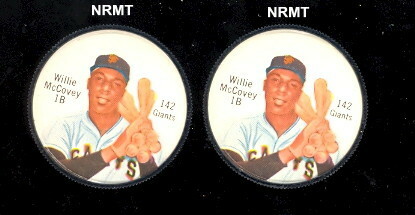 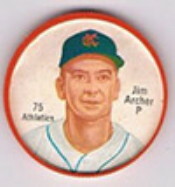 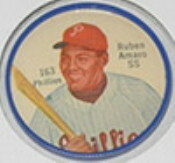 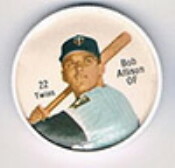 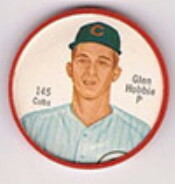 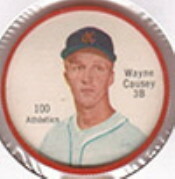 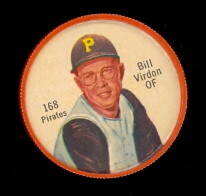 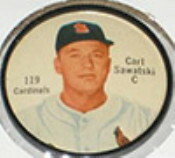 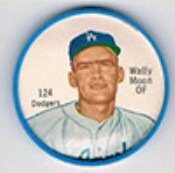 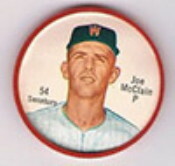 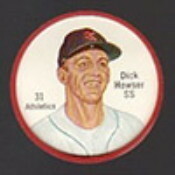 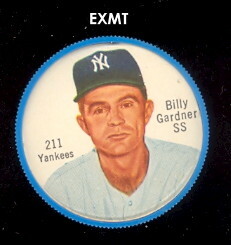 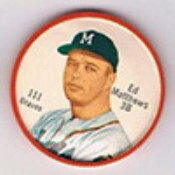 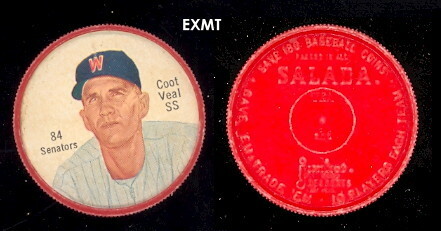 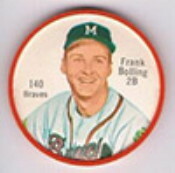 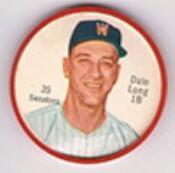 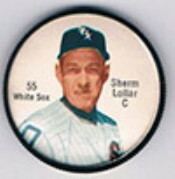 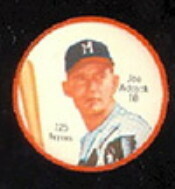 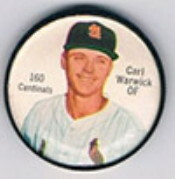 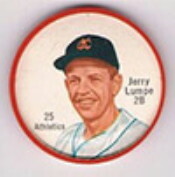 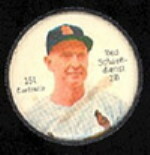 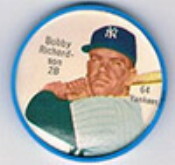 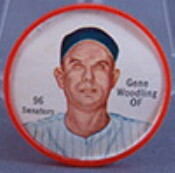 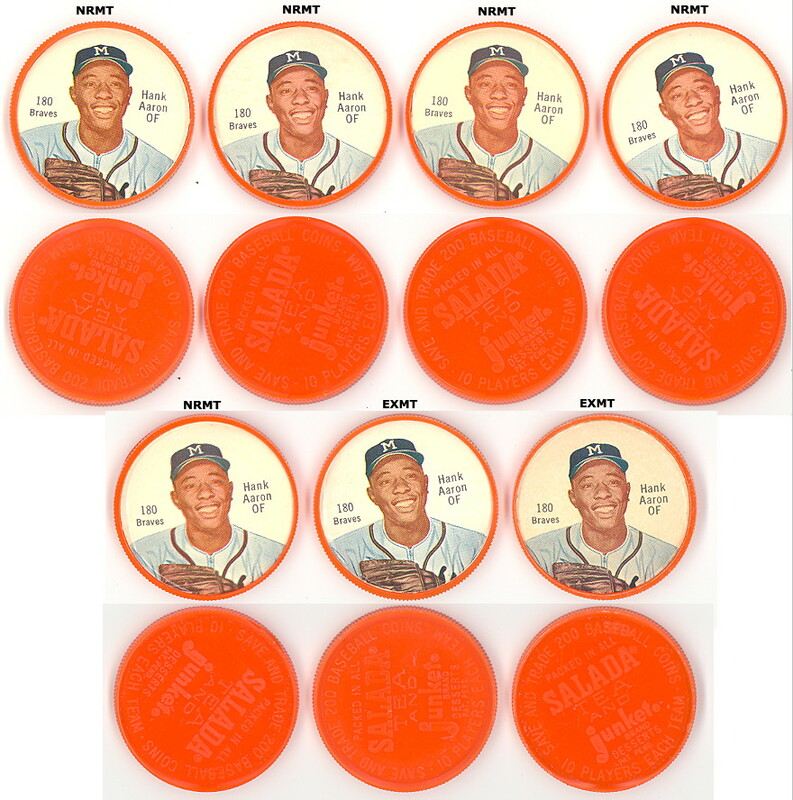 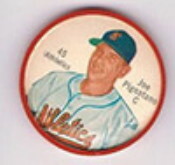 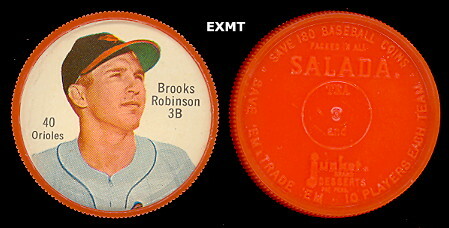 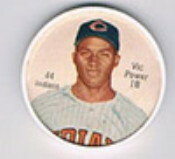 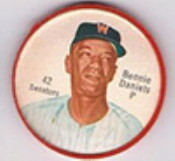 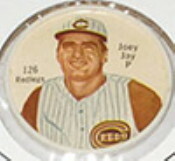 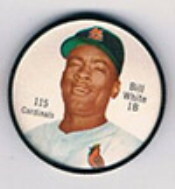 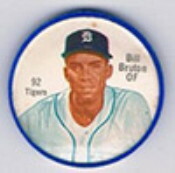 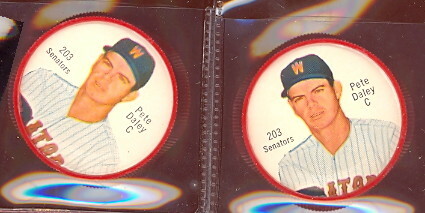 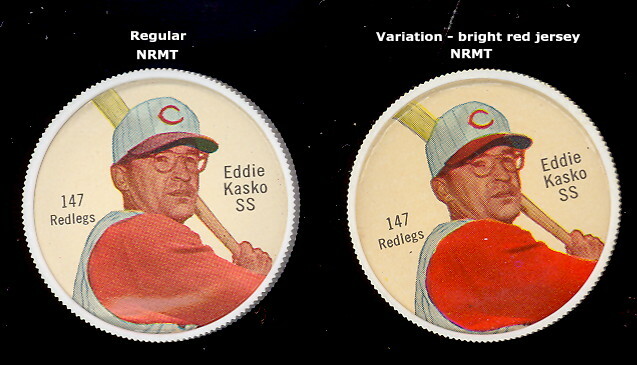 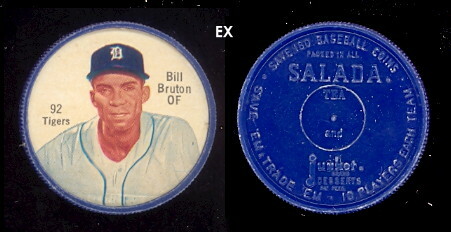 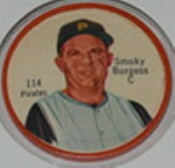 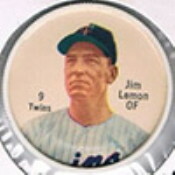 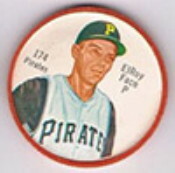 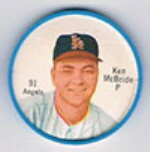 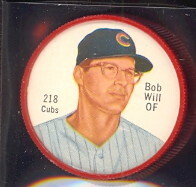 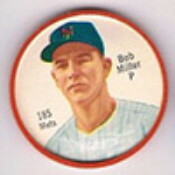 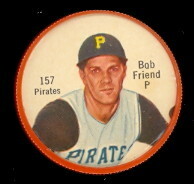 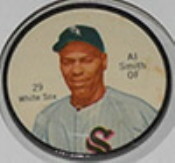 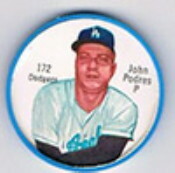 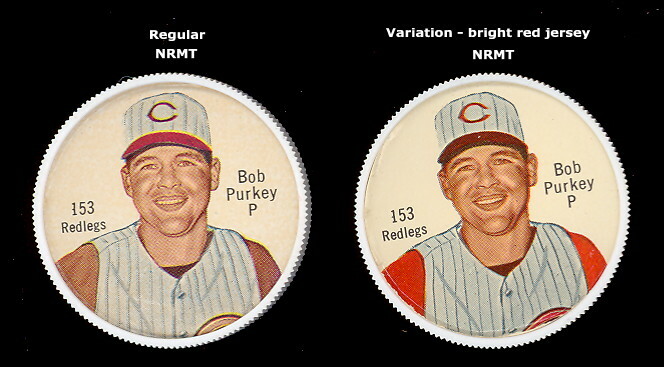 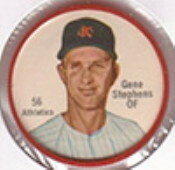 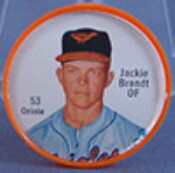 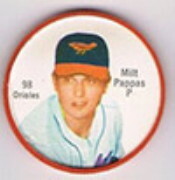 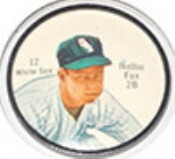 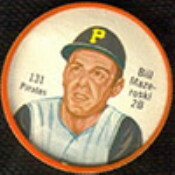 The 63 coin set, put out by Salada Tea, was a 63 coins set called the All-Star Baseball Coins. 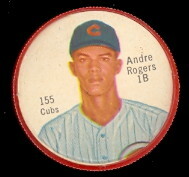 It included most of the top players of the day. 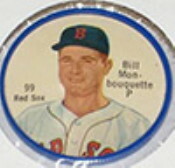 They are made of metal, and have a diameter of 1-1/2". 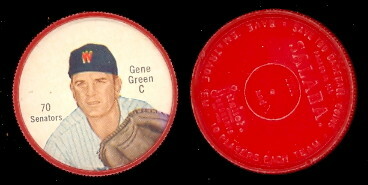 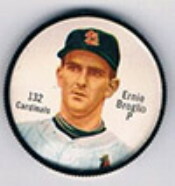 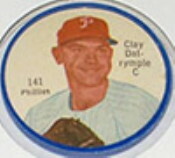 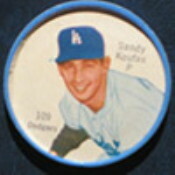 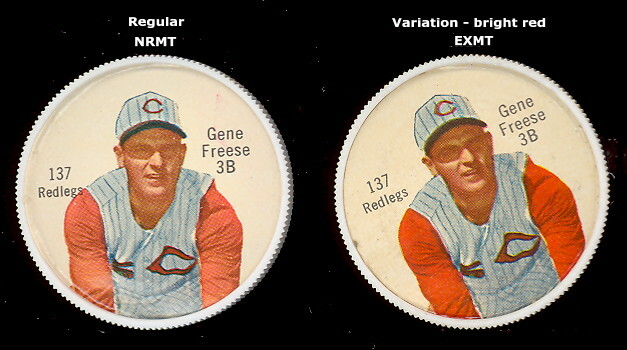 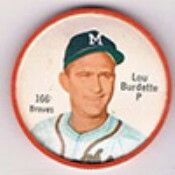 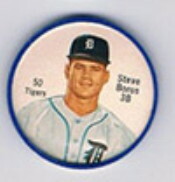 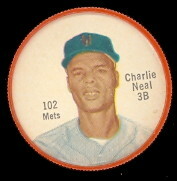 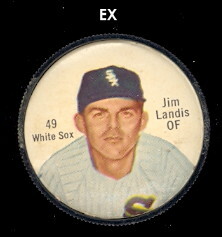 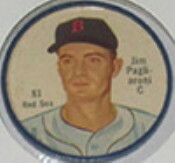 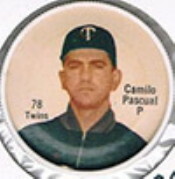 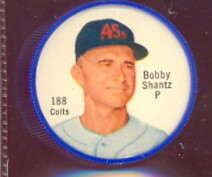 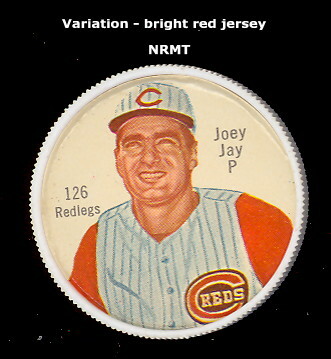 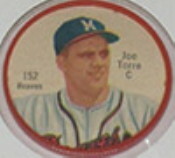 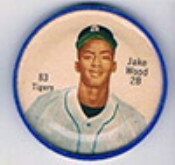 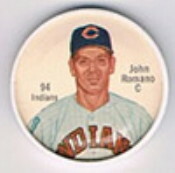 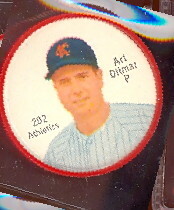 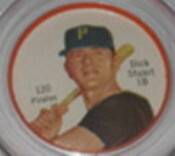 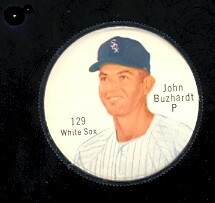 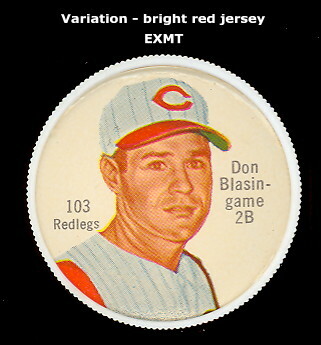 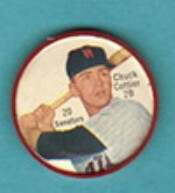 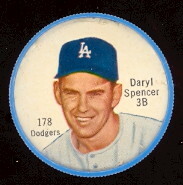 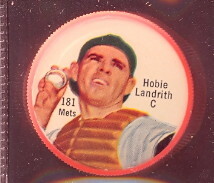 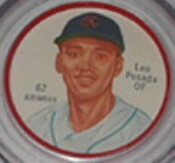 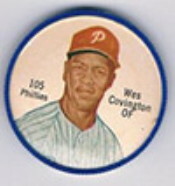 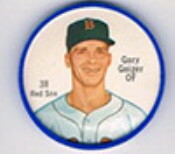 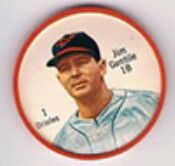 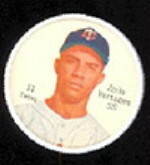 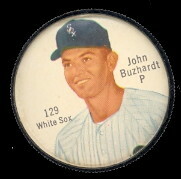 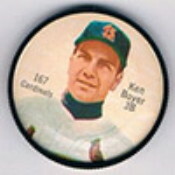 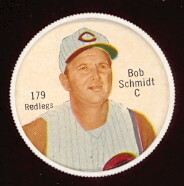 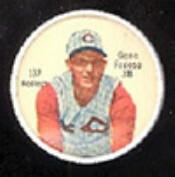 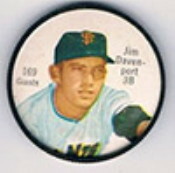 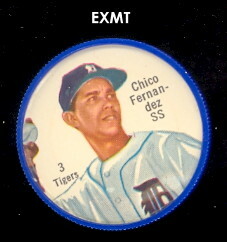 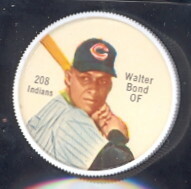 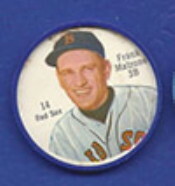 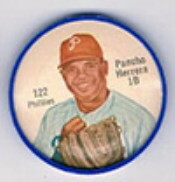 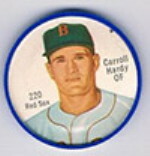 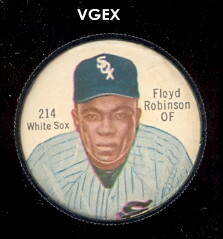 The coins have red or blue rims depending on the league the player was in. 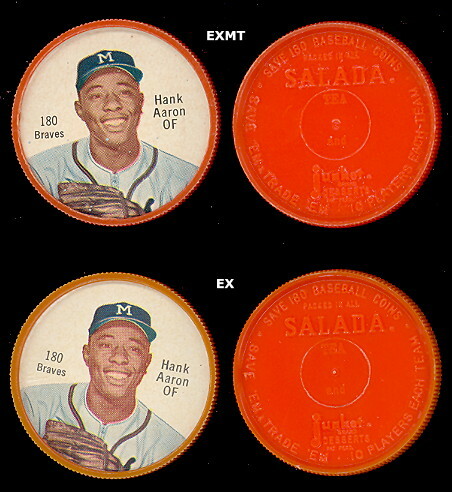 The 1962 coin set has 221 coins, 261 if you count the variations. 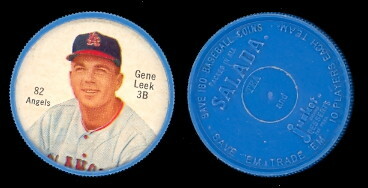 They were issued with Salada tea, and Junket pudding. 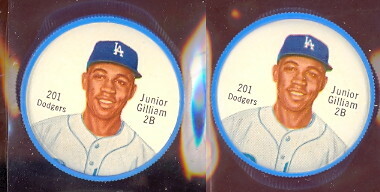 They are plastic with paper photo inserts. 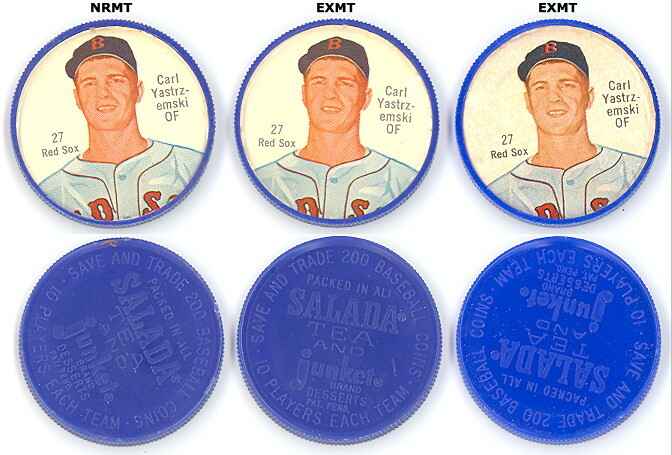 These are so clean, they look like they came out of the package yesterday!